When placing images and graphics in to Adobe InDesign you have probably noticed that you get a stacking order, essentially there is something at the top and something at the bottom and all other objects in between. 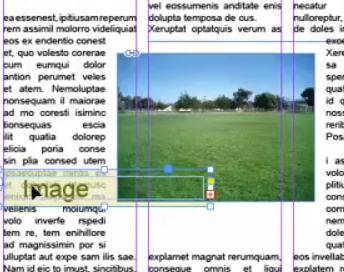 In Adobe InDesign you can control this stacking order very easily by selecting the frames and then right clicking and choosing to send that particular frame to the front or send it to the back and getting all your Adobe InDesign frames in the order that you require. Firstly place an image frame on top of your text frame then go to Window>Text Wrap to open up the correct panel. With the text wrap panel open you will see many buttons along the top and some measurements in the middle. 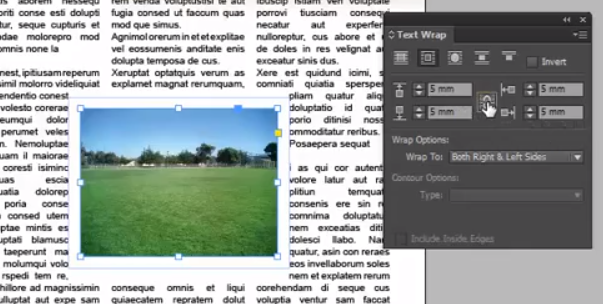 If you select your image frame on your Adobe Indesign layout then come back to the text wrap panel and click the second button in on the top ‘Wrap around the bounding area’ this will force the text away from the Adobe InDesign frame. You can then use the boxes below to decide what distance you want the text to be forced away in millimetres. By default the measurements for top, bottom, left and right are linked together so you get an even gap although you can click the chain icon in the middle to unlink them and create bigger spaces on particular sides. 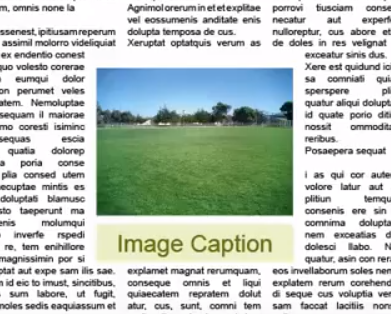 In this instance I want to increase the gap at the bottom of my Adobe InDesign frame as I want to put a text caption underneath. 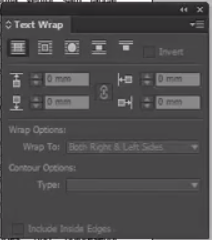 In the Adobe InDesign Text Frame Options dialogue box there is a small tick box at the bottom ‘Ignore Text Wrap’ when you click this on this specific text frame InDesign will ignore any frames that have the text wrap option applied enabling me to put the text frame over the top of the image where required. 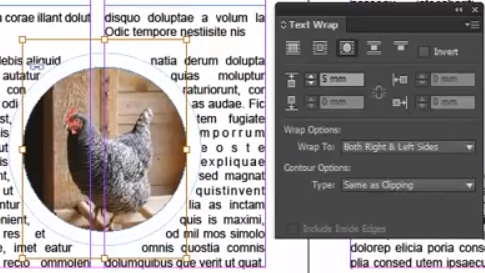 When we place an image in to our Adobe InDesign layout that is in a different shaped frame (in this instance a circle we can click the next option along in our Text Wrap panel which is ‘Wrap Around the Object Shape’. 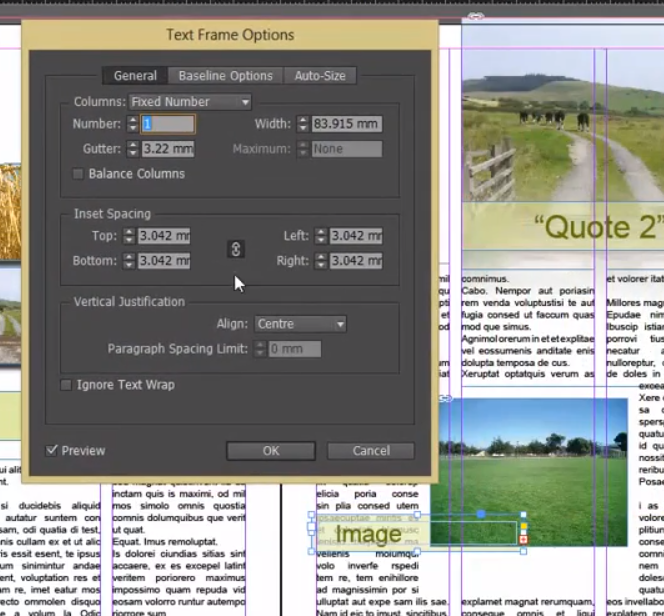 We then just get one option in our measurement dialog as there is only one surface on this Adobe InDesign frame.